The city of Portland offers a ton of things to see and do, but there are also countless day trips that you won’t want to miss while you’re there. 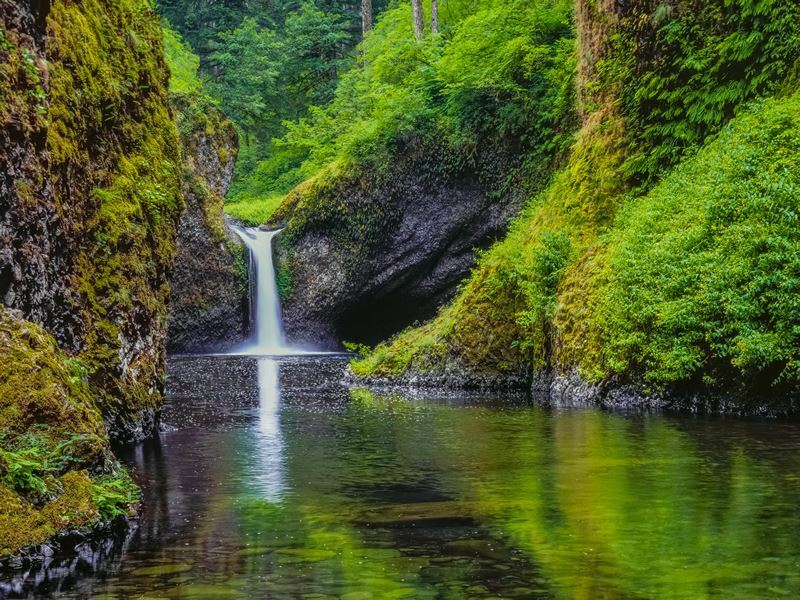 Oregon is filled with breathtaking landscapes that include everything from some of the world’s most stunning coastal scenery with wild driftwood-strewn beaches that edge the crashing waves of the Pacific to soaring mountains, magnificent waterfalls, and glistening lakes. For outdoor adventurers and lovers of natural scenery, this state is the ultimate playground, and much of it can be experienced within a couple hour’s drive. 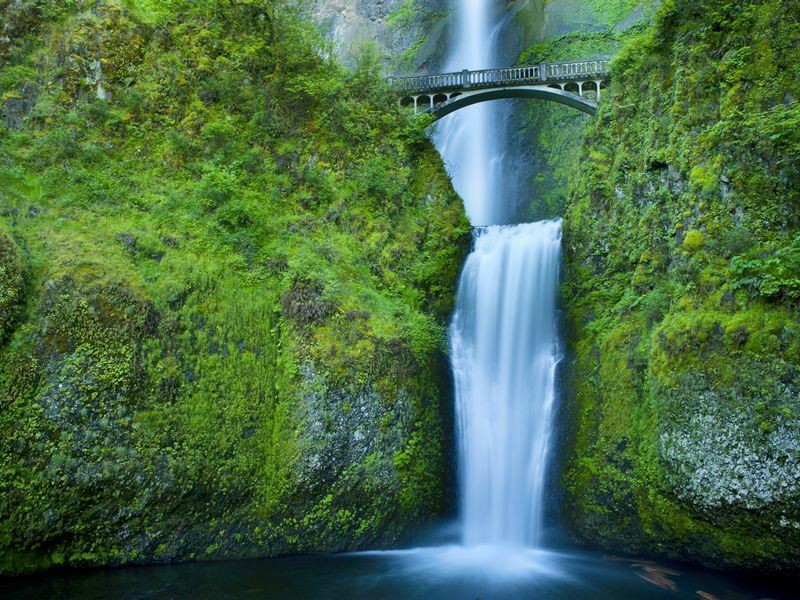 One of the most famous waterfalls and the most photographed in the entire country, Multnomah Falls is one of many in the Columbia River Gorge, just a 30-minute drive from Portland. 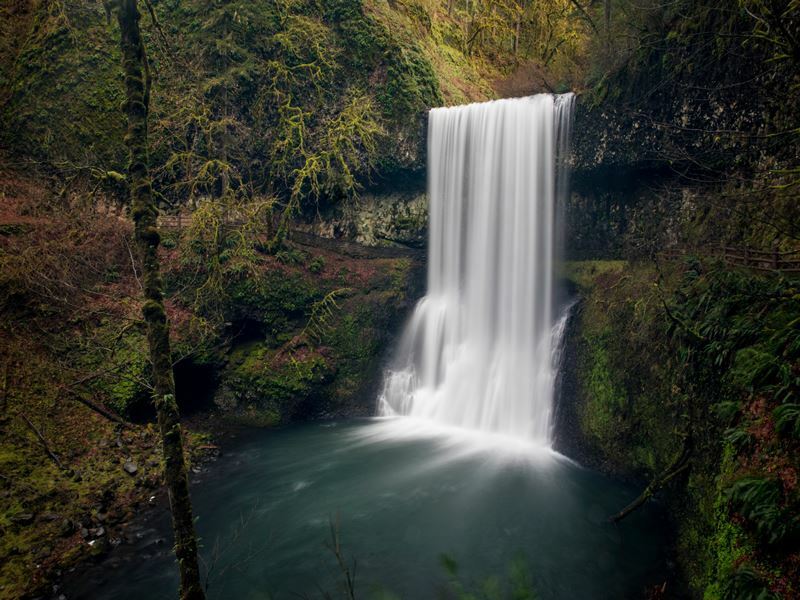 While there are countless others, nearly 80 on the Oregon side of the gorge, it’s hard to beat the beauty of these falls that plunge over 600 feet. There are only three others in the country that are higher. While many visitors simply take the 5-minute walk to the parking area for a quick view, the best uninterrupted view comes from hiking the 1.2-mile trail to the top. While it’s steep and there are lots of switchbacks, it’s well-worth the climb to reach the observation deck and gaze down as the falls without the thick tourist crowds. 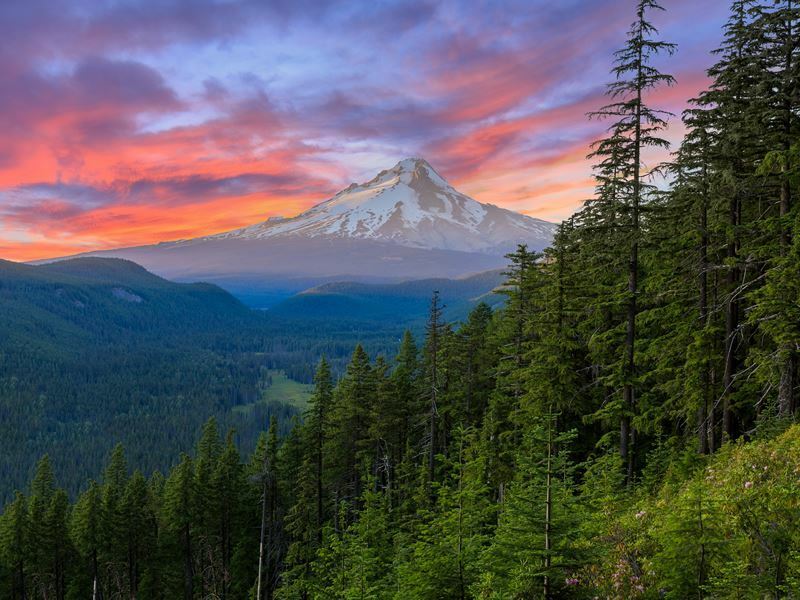 Mount Hood is less than 80 miles from Portland and offers a wide range of things to do. While it’s popular for skiing and boarding in the wintertime, during the warmer months there are lots of trails for hiking and biking while the rivers are filled with trout, salmon, and bass that can be hooked by taking a guided fishing trip. If you’d like to get out onto the water, rent a canoe or kayaked through Mt. Hood Adventure – they’ll deliver it to you at Trillium Lake, one of the most beautiful lakes to paddle in Oregon. Afterward, stop by the historic Timberline Lodge for lunch or dinner. This National Historic Landmark was used in aerial shots for Jack Nicholson’s ‘The Shining’ and is located at the midway point of the mountain, providing jaw-dropping views of the famous peak. It offers two dining options, the casual Ram’s Head Bar & Restaurant serving locally-sourced, alpine-inspired cuisine along with Mt. Hood Brewing Co. microbrews, and the more upscale Cascade Dining Room, known for its delicious farm-to-table fare and award-winning wine selection. 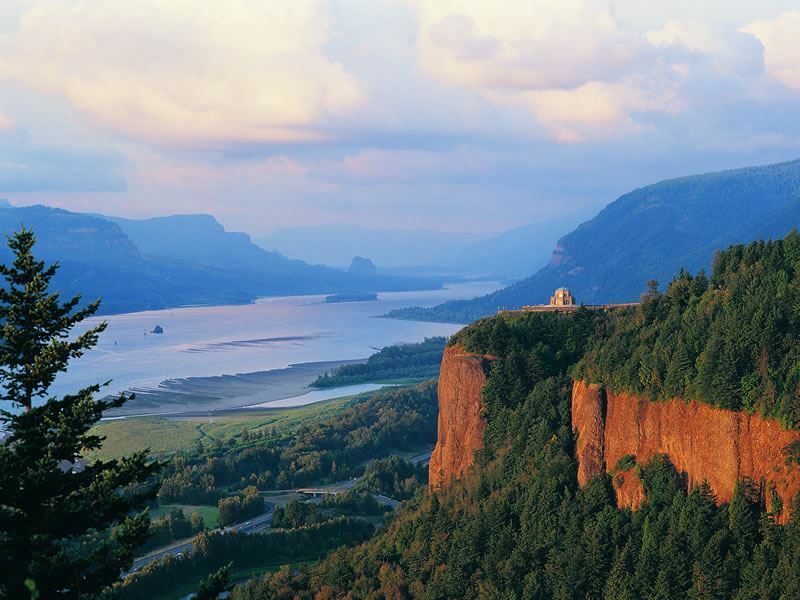 One of the best ways to experience the Columbia River Gorge, which divides Oregon from the state of Washington, is to take a scenic drive following the Historic Columbia River Highway, the Northwest’s first paved road and the very first scenic highway in the United States. It starts in Troutdale, just east of Portland, spanning 74 miles from Troutdale to The Dalles. Along the way you’ll take in breathtaking panoramic vistas, including the must-stop at Crown Point which overlooks of the gorge from 900 feet above the river. There are countless waterfalls, right off the highway or accessible via a short hike, magnificent wildflower displays and wineries to tour. The Bradford Island Visitor Center is worth a stop, just west of Cascade Locks right off the main road. Here you can watch the steelhead and salmon up close through viewing windows as the fight their way upstream, climbing the underwater fish ladder. For the more adventurous, the river is famous for its idyllic windsurfing and kiteboarding conditions, providing especially big thrills. 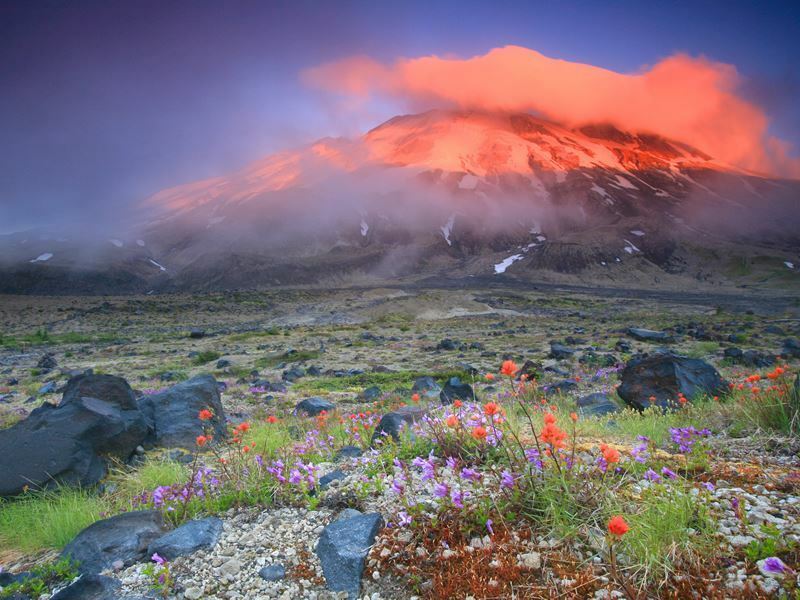 Mount St. Helens lies just north of the Oregon border about 70 miles north of Portland. With the infamous eruption in 1980 destroying its once near perfectly symmetrical cone, it’s hard to miss. Looking at it from afar, you might think its lid was literally blown off, and that’s just what happened. The massive event left a horseshoe-shaped crater in its place while devastating the landscape for miles around. Nearly four decades later, visitors can witness nature’s endurance, with the stark, barren wasteland coming to life once again. You can learn more about the eruption and its effects on the region via the extensive exhibits at the visitor center. The very best view of the mountain is from the Johnston Ridge Observatory which is still used today to monitor the volcanic activity. The Boundary Ridge Trail heads east from here – hike about a mile out from the observatory to take in remarkable vistas of the blast zone. You can’t visit Portland without taking a day trip to the coast. 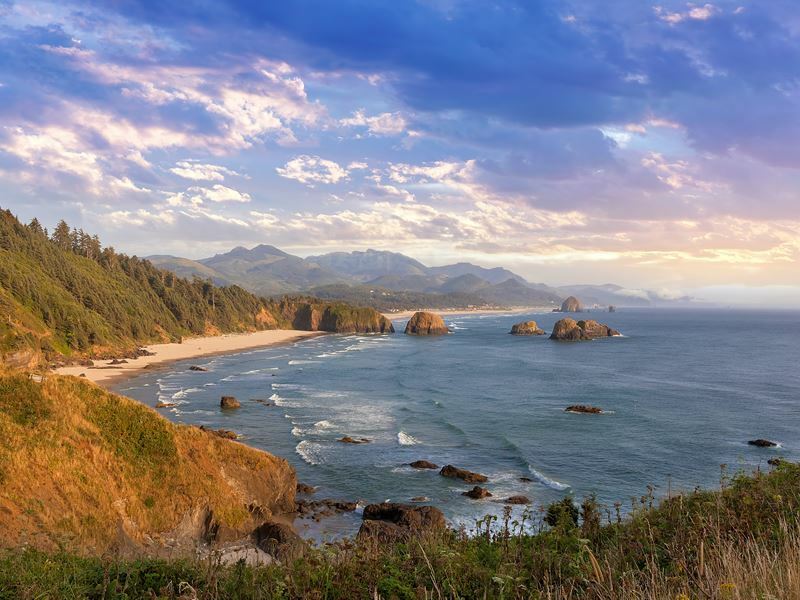 Oregon’s rugged shoreline is considered one of the most beautiful on the planet, and one of the best stretches can be found in Cannon Beach, 80 miles northwest of the city. The town itself offers lots for visitors, with oceanfront eateries, art galleries and lots of unique shops for picking up souvenirs. It’s also home to iconic Haystack Rock, a massive monolith and a famous landmark that’s been depicted in numerous Hollywood films, including ‘Kindegrarten Cop’ and ‘The Goonies.’ At low tide, peek explore the tide pools that are often filled with colourful life, and from early spring through early summer, watch for the nesting puffins. The Rock, as it’s often referred to, is protected as a wildlife refuge and a seabird nesting colony. Local conservationist Neal Maine once described it as the merger of nature, art and the human condition." During the summer months, volunteers stand nearby to answer questions, encouraging visitors to look closely, touch gently and step carefully, taking only pictures. Ecola State Park is just minutes north of town and offers jaw-dropping views of the Pacific as well as abandoned Tillamook Rock Lighthouse which sits in the middle of the ocean, an impressive sight with the tumultuous waves crashing against it. The most popular spots here are Ecola Point and Indian Beach, both of which offer viewpoints and picnic tables. Just an hour from Portland in Woodland, Washington, garden lovers will discover a true treasure. While not well-known to outsiders, the Hulda Klager Lilac Gardens is one of the loveliest spots for a day trip. It all began when German native Hulda Klager was given a book about the hybridization of flowers. She started experimenting with lilacs and in just five years she’d created 14 new varieties. By 1920 she was hosting springtime open houses so that lilac enthusiasts could come from near and far to see her flowers. 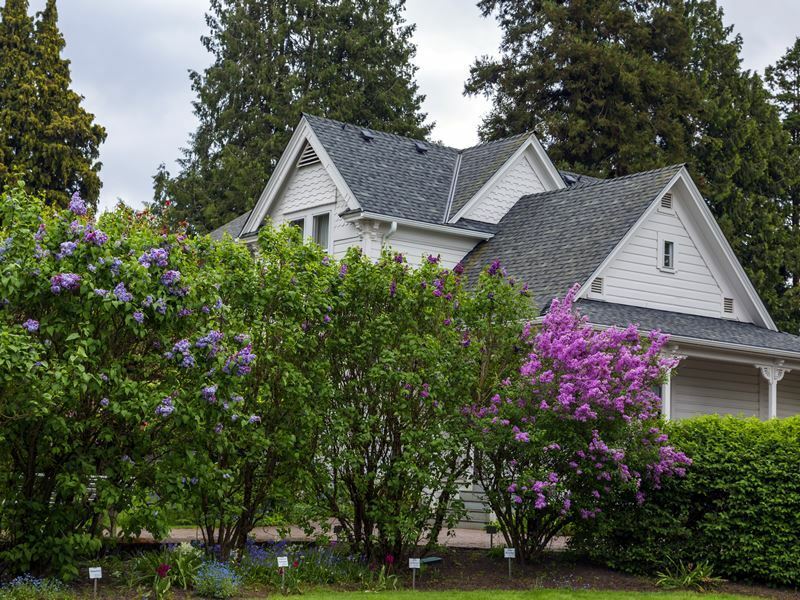 Age nor flood could stop Klager from indulging in her passion – when the Columbia River flooded the city in 1948, destroying her gardens, despite begin 83 years old she managed to rebuild, thanks to the starts she was given by those who had purchased her lilacs. Only two years later she was able to reopen, and today all of her efforts continue through the Hulda Klager Lilac Society, which maintains the property, including her home. If you’re here from around mid-April through mid-May, you’ll be able to take a tour of the house and stroll through the gardens to see the various varieties in bloom, buy flowers and visit the gift shop too. The best day trip a wine enthusiast can take is the Willamette Valley. Oregon’s largest AVA features over 200 wineries producing a number of varietals, though it’s best known for its internationally-acclaimed pinot noir. This wine region begins at the Columbia River near Portland in the north, through Salem, spanning all the way to the Calapooya Mountains, just outside the city of Eugene in the south. It makes two-thirds of Oregon’s wine as one of America’s leading producers. 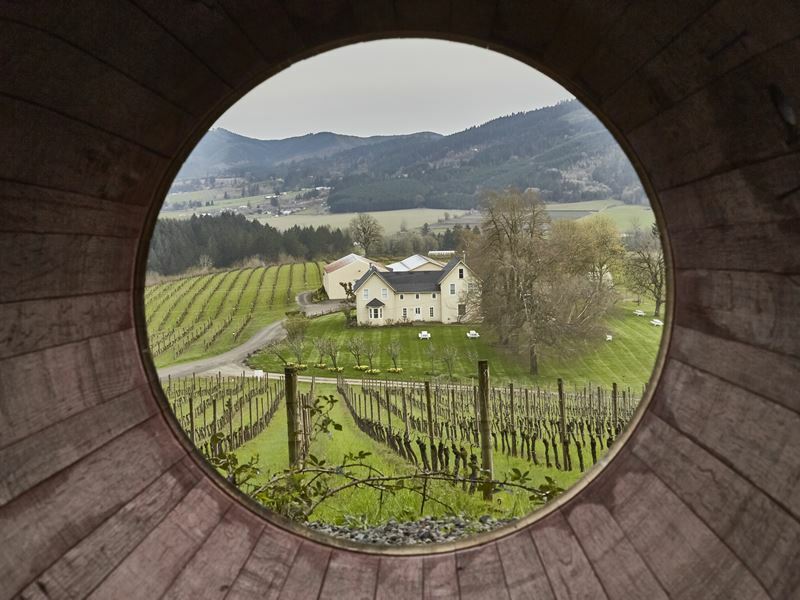 The Yamhill-Carlton American Viticultural Area in the North Willamette Valley, sometimes called ‘Pinot Paradise,’ is a great place to start, with some four dozen wineries and tasting rooms to explore. The town of Carlton itself may be small, but its three blocks are jam-packed with more gastronomy than places ten times its size. The hub of the wine and farm scene, it not only offers plenty of fine vino but artisan chocolates and other heavenly sweet treats, organic cheeses, fresh meats and piquant preserves. Just a 60-mile drive south of Portland, Silver Falls State Park is a fabulous place to spend the day, home to 10 magnificent waterfalls, four of which you can walk behind, taking in a unique perspective from behind the cascade of water, and half are at least 100 feet high, ideal for shutter bugs, or simply enjoying the sights and the sounds that instantly melt stress away. They can be viewed by hiking the Trail of Ten Falls, the park’s primary focus. In between the waterfalls, you’ll walk through lush forest and pass majestic canyons as well as crystal-clear streams. On a warm summer’s day, take off your shoes and let the cool water refresh your tired feet. About 90 miles southwest of Portland, the town of Tillamook is famous for its cheese as the home of the Tillamook Cheese Factory, though it offers a whole lot more. Before visiting, you can work up your appetite by hiking the 5-mile Cape Lookout Trail along the coast, with the dramatic 500-foot-high cliffs offering an ideal spot for watching the migrating humpback whales that pass by. Afterward, take what’s considered one of the very best factory tours in the West. Open daily, you’ll be able to watch the workers and the entire cheese-making process on a self-guided tour that follows an enclosed walkway which sits just above factory level. Informative displays explain what you’re seeing, such as master cheesemakers that create their mouthwatering works of art before workers package of blocks of tasty sharp cheddar and other cheeses while it makes its way down a conveyor belt. The highlight of the experience is, of course, the free cheese samples. They’re likely to leave you wanting more, and you’ll find plenty at the onsite café which serves dishes like grilled cheese sandwiches, cheeseburgers and mac ‘n cheese. The factory also has a gift shop for purchasing cheese and a variety of gourmet delights. Another one of Portland’s most relaxing day trips, a visit to Breitenbush Hot Springs is the ultimate stress-relief escape. Not only can you soak in the soothing natural geothermal hot springs, but this holistic resort offers guided, meditative hikes on trails with names like ‘Inner Path,’ ‘Emerald Forest’ and ‘Spotted Owl’ that lead to jaw-dropping mountain views and ancient forest cathedrals, passing rivers along the way. The property also offers outstanding organic vegetarian meals, a variety of massage; The Sanctuary, a space for yoga, meditation and reflection, daily well-being programs, a gift shop and library. If you’re fascinated with ghost towns, there are three that can easily be visited during a day trip from Portland, all located just south of The Dalles, less than a 90-minute drive east of the city. Boyd is the first you’ll come to, founded in 1870 on the banks of Fifteen Mile Creek by miller T.P. Boyd. Remnants of his wooden granary can still be seen towering over the water. About a mile south is an interesting pioneer graveyard where you can walk around the stones that reveal a bit about the former residents. Dufur is a mile-and-a-half from here, and a still living though tiny community that hosts the grand 1907 Historic Balch Hotel, a hand-hewn log cabin known as the Schreiber House and an old schoolhouse that dates to 1882. The town of Friend is 12 miles further and is home to an empty historic general store as well as a 1909 one-room schoolhouse that’s used today as a community center. 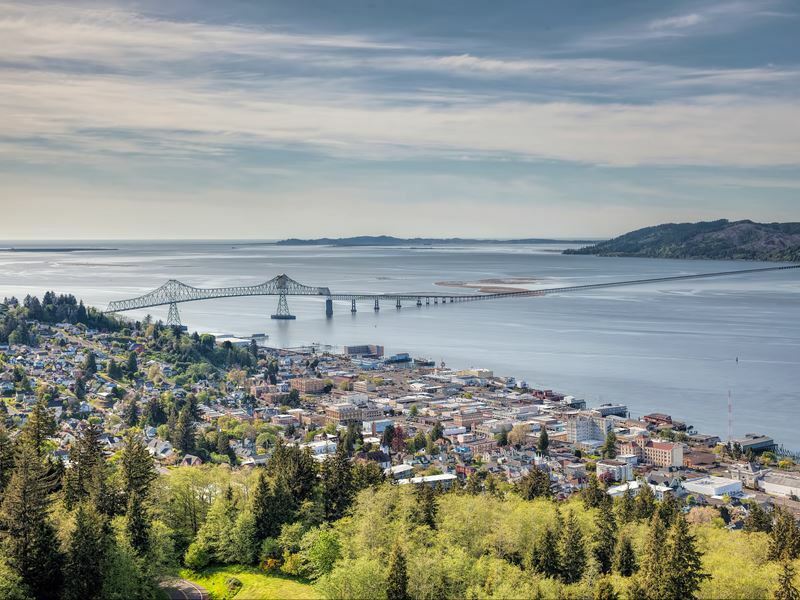 About 90 minutes west of Portland where the ocean meets the Columbia River, Astoria is one of the state’s most historic cities. There’s lots to love for history buffs, with streets lined with grand Victorian architecture, including the spectacular Queen Anne-style Flavel House which holds its history museum. The Columbia River brings all sorts of opportunities for recreational activities like paddle boarding, kayaking and scuba diving, while Astoria’s restaurants often feature the fishermen’s bounty, including fresh salmon. The city has also been the shooting location for multiple films, most famously the 1985 cult hit, “The Goonies,” with the county jail where Ma and Frances Fratelli break Jake out of lockup located here too. Today, it used as the Oregon Film Museum. By driving up to the Astoria Column, you’ll be able to take in one of the region’s best views, which include the city, the Cascade Mountains, Pacific Ocean and the Columbia River. 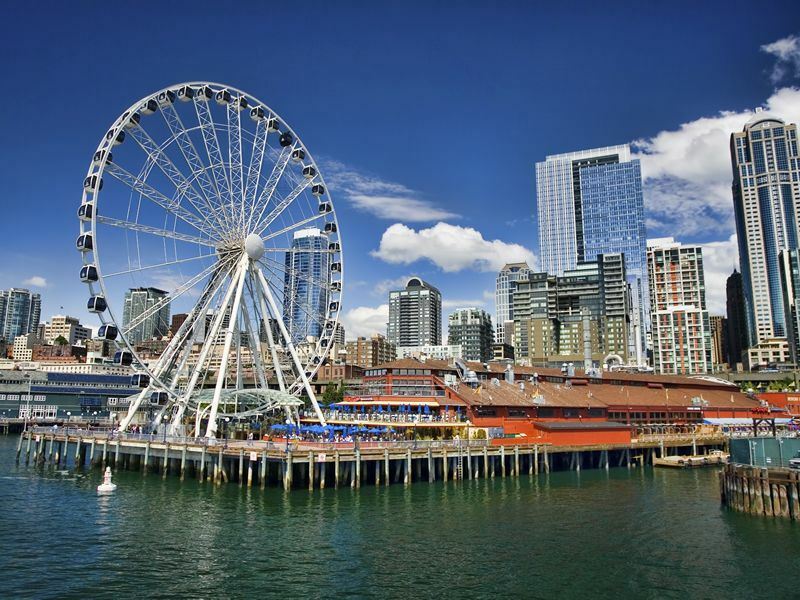 If you’re up for a longer trip, wake early and you can enjoy a day in the “Emerald City,” Seattle’s nickname, surrounded by green with towering, forested covered mountains in every direction, endless green spaces and parks, and glistening water – to the west, the Puget Sound, and to the east Lake Washington. A three-hour journey north, it has so much to see and do you may want to make it an overnight. Head to the Columbia Tower’s new observatory for one of the best views around, that include the iconic Space Needle as well as Mount Rainier on a clear day, walk through Pike Place Market to watch the entertaining fishmonkers who toss the day’s fresh catch while cracking jokes, visit world-class museums and even take a tour of a chocolate factory in the Fremont neighborhood, Theo’s Chocolate. If you decide to stick around, the city is famous for its fantastic dining and nightlife scene for fun after dark too.